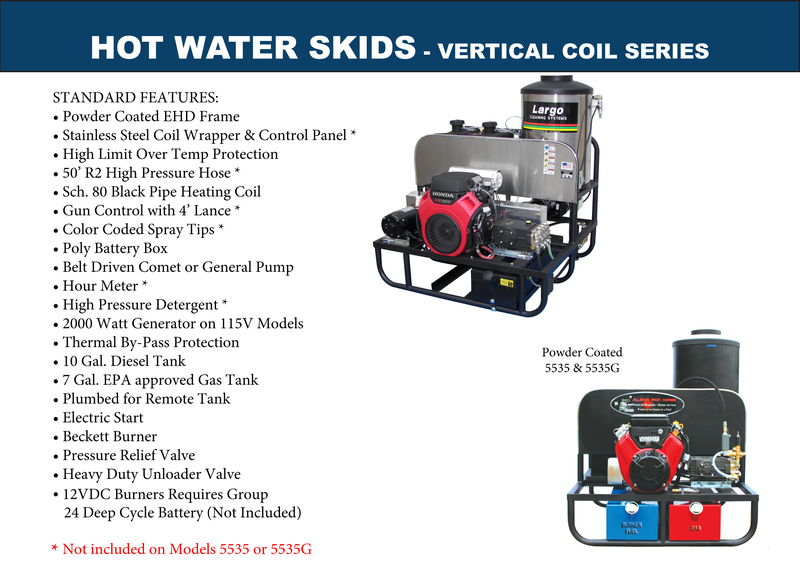 Our Hot Water Pressure Washer Skids are desinged for many applications. Whether you are cleaning vehicles, equipment, hoods, concrete, houses, skidders, trucks, fences, decks, buildings, parking lots, drive pads, condensers, marinas, car lots, operating surface cleaners, roof cleaning, chicken houses, rail yards, or hog farms we have you covered. Put it on a trailer, in a trailer, a van, or a truck. Attach it to a garden hose or a mobile tank and go to cleaning. 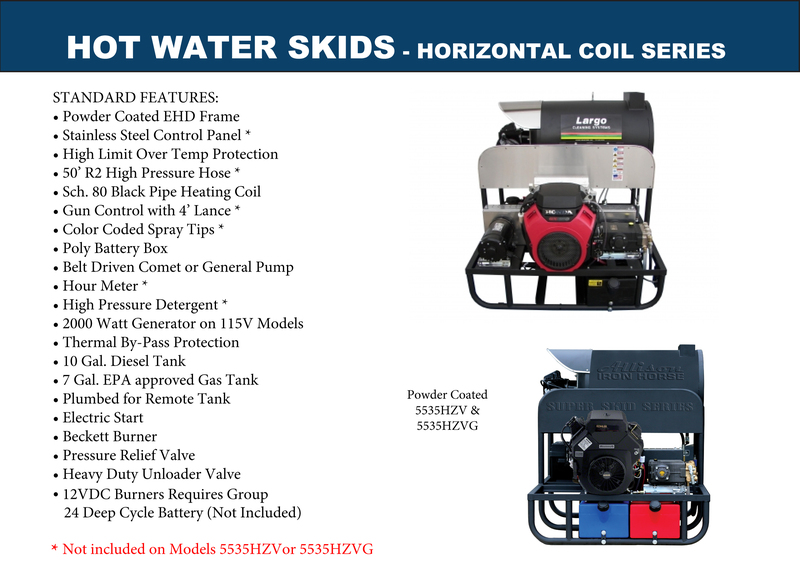 Largo Hot Water Pressure Washer Skids are built for the Long Haul! CUSTOMER PAYS SHIPPING – NO FURTHER DISCOUNT APPLY.